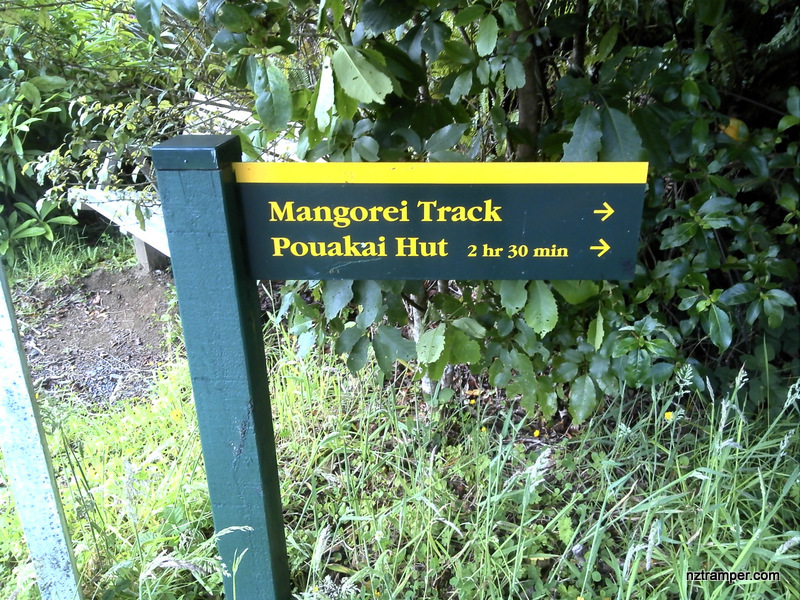 Trails: End of Mangorei Road car park – Mangorei Track – Pouakai Hut – continue up 10 minutes to junction of Mangorei Track and Pouakai Track then turn left – Pouakai Track until the very popular tarns and return back the same way. Caution: May very slippery in wet weather. 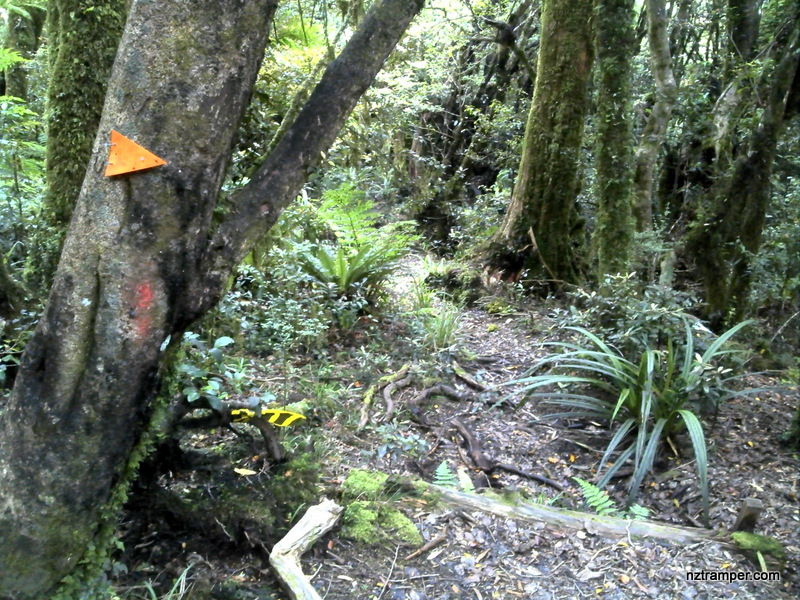 Not recommended for tramping beginner. Car Park: Yes. 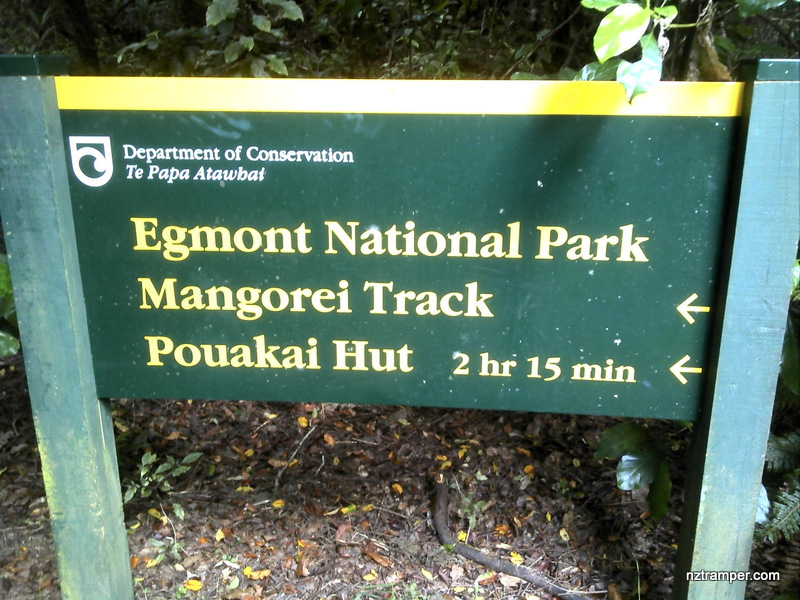 End of Mangorei Road. Total flat distance: 13.3 km, Climbing distance: 5.7 km, Descent distance: 5.7 km, Flat distance: 2.1 km, Maximum difference: 690 m, Final balance: 0 m. Elevation corrected by SP3. The “Total Time” is my time in Jan which includes morning tea time and lunch time. 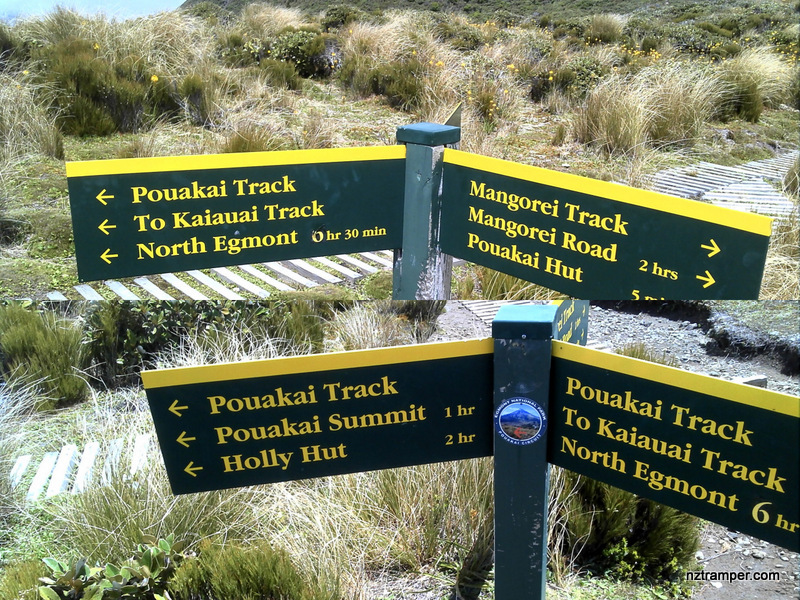 That day was fine but windy and the track was good. If you slow down to average 3 km/h plus 60 min stop then the total time will be around 5:30 hrs.